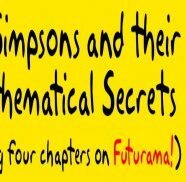 This is a rather belated review of Simon Singh’s talk on The Simpsons and Their Mathematical Secrets given for the Leeds Skeptics in the Pub in the Victoria Hotel pub. (There’s a chance to win the book, details below.) The Victoria is not a large pub so I did wonder where the audience was going to fit. In the end I counted nearly 100 people and this did not include those standing in the corridor or in the street outside. The talk is in two halves, the first covers the book and in the second Singh bravely invites questions on any topic connected to his work. 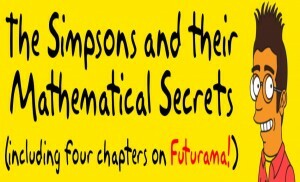 The book part of the talk, accompanied by slides, delves into the mathematical backgrounds of the writers of The Simpsons and Futurama and how they inserted mathematical jokes into the programmes. Some of this was familiar as I’m a fan of both shows (though The Simpsons seems to have jumped the shark a while ago — Ned secretly married Mrs Krabappel!?) but Singh has done his homework and gained access to the writers so there is plenty here that was new to me. 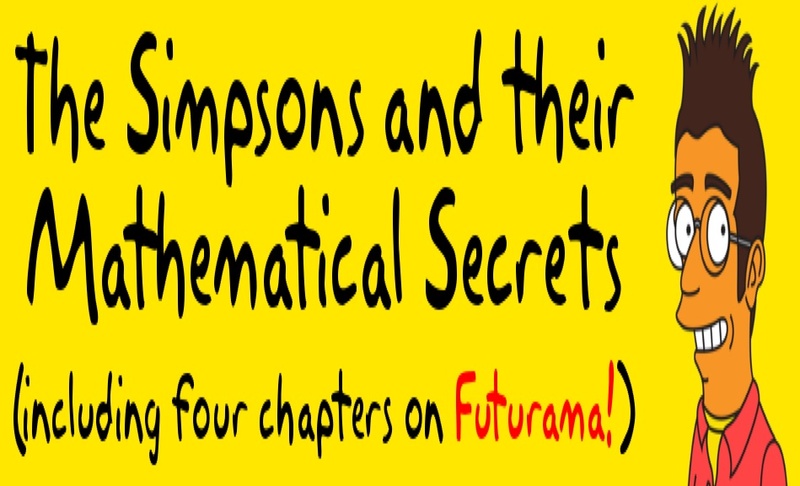 One of my favourite bits from the book wasn’t mentioned in the talk — there was a theorem invented purely for an episode of Futurama. So, the first part of the talk was about the book and during the interval Singh signed copies. Afterwards he did a question and answer session which amongst other things covered libel laws, Fermat’s last theorem, the Big Bang and quack medicine. The tour continues for another month, details can be found here. A great talk – you won’t be disappointed if you go.